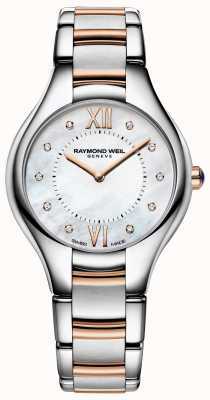 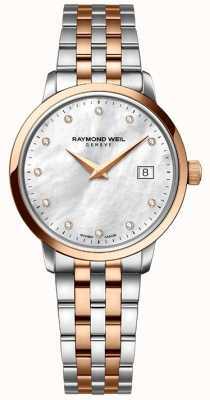 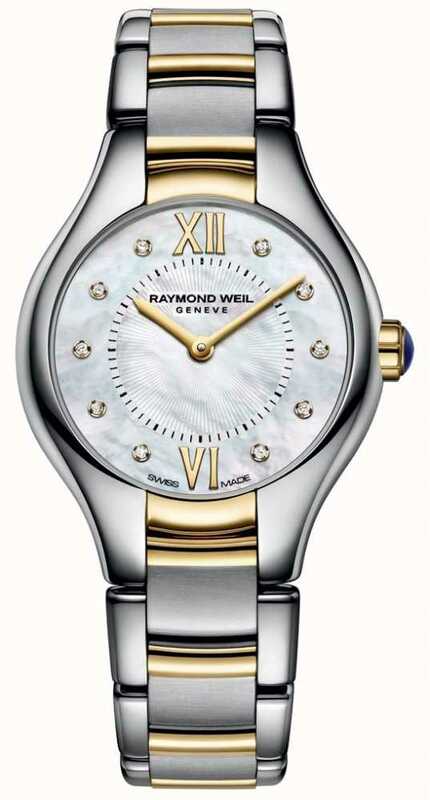 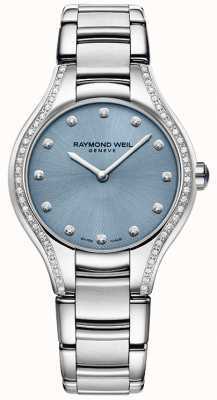 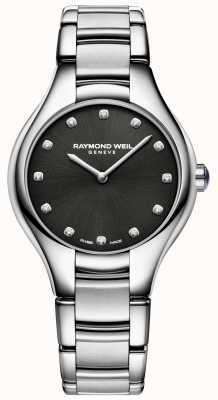 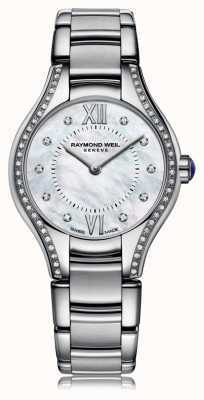 Swiss watchmaker Raymond Weil deliver this addition to their beautiful Noemia collection, in two-tone with luxurious touches and an overall balanced look that is great both night and day. 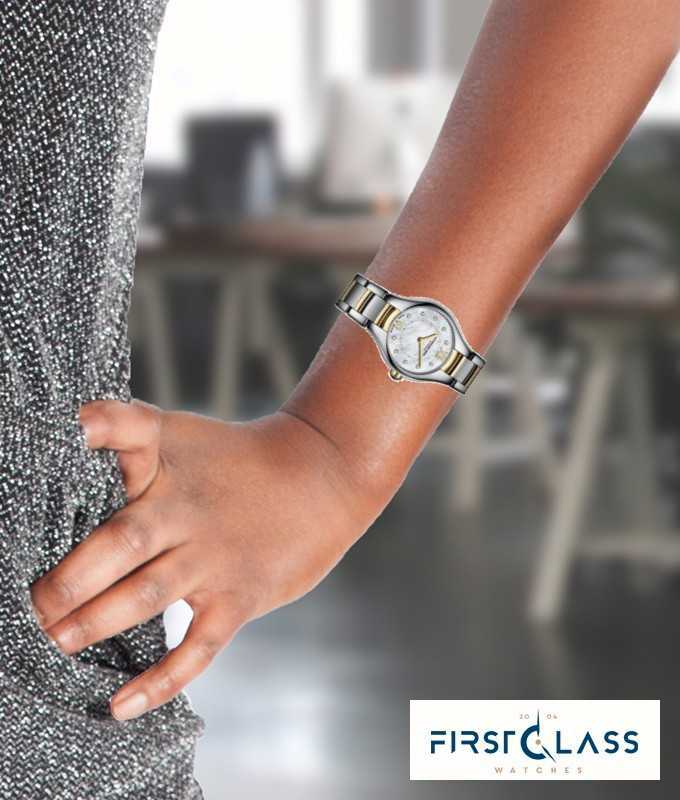 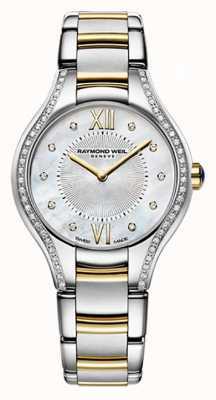 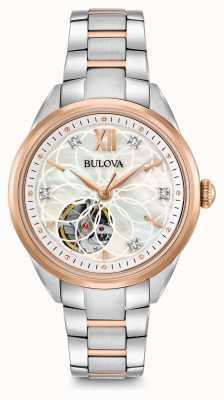 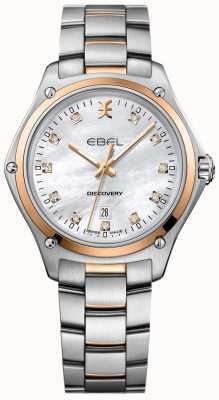 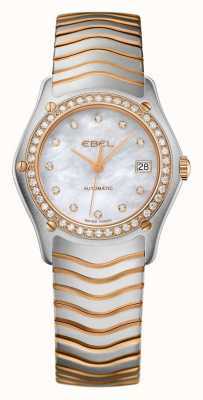 Features a smooth stainless-steel case which runs down to a unique bracelet in gold and silver tones for added intricacy. 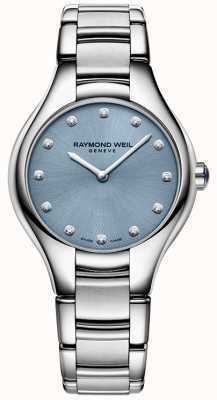 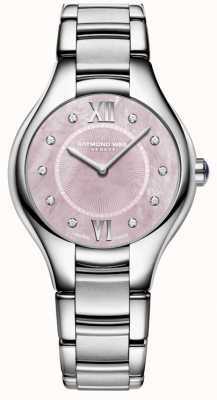 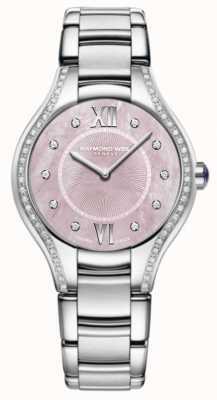 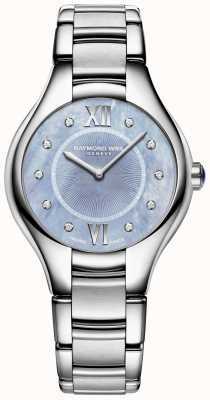 Mother-of-pearl glistens elegantly inside the case, and crowned diamonds are used for the hour-markers in an exquisite finish.